Kumaon University is also a university in Kumaon region of Uttarakhand. The headquarters of the Kumaon University is situated in the lake city of India Nainital. There are so many of the courses are offered by this university every year. And many of the students are appeared in various courses in the Kumaon University. Kumaon and Garhwal is the two region of Uttarakhand state. As like of HNB Garhwal University in the main University of Garhwal region, the Kumaon University is the main university of the Kumaon region. 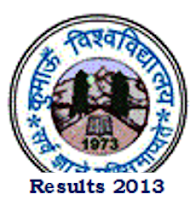 Now Kumaon University has declared some courses results and also all the results will be come soon. So here below I am giving you a link to get your results and its information’s. So click the given link and get your results online. I wish you for your better results. For more details and other clarification check the website of the University: - kuntl.in. For more updates and exams stay connected with our site or you may also follow us by email.